These days phones charge fairly quickly. While our phones still won’t last beyond a day or two at most, at least they will be able to recharge quickly. However it looks like Apple is falling behind in that department. Check this out. 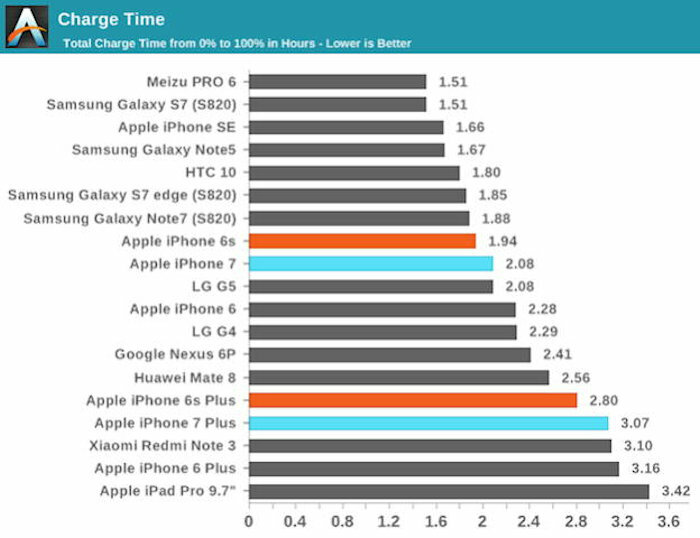 In a review done by AnandTech of the iPhone 7 and 7 Plus, they found that when it comes to charging speed, both iPhones seem to lag behind the competition. Both phones lagged behind their predecessors which is odd since newer models are supposed to be better than the previous generation. That’s why we upgrade right? As the graph above shows, the iPhone 7 Plus takes 2.8 hours to charge to 100%, while its predecessor took 2.56 hours. 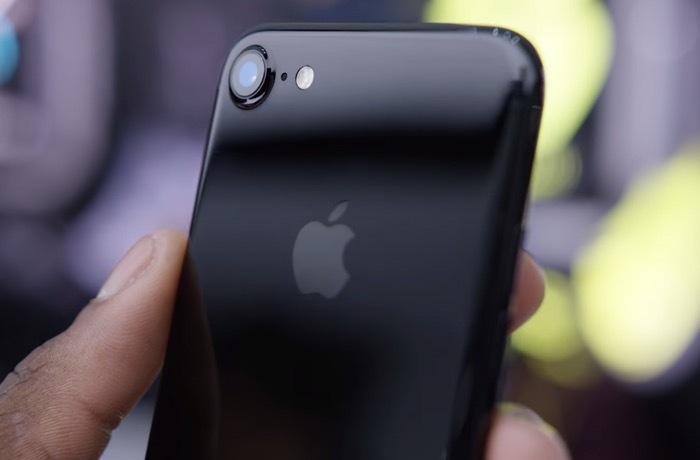 The iPhone 7 was also shown to be slower at 2.08 hours versus the iPhone 6s which took 1.94 hours. Consider this: the Meizu PRO 6 takes 1.51 hours to hit 100% which is similar to the Galaxy S7 from Samsung. Sure, fast charging was never a feature that Apple marketed for its iPhones, but it certainly should be keeping up with the Joneses. You could always use an iPad charger to charge the iPhone which will give you increased speeds. Apple’s support page does state that it is possible to do this. Hopefully Apple’s next phone will do better.